Our company are manufacturer and exporter company from Indonesia. We offer the teak bench furniture, marlborro bench / Lutyen bench, sun lounger, teck chaises lounges, set garden furniture and indoor furniture. We guaranteed that Our products are high quality at competitive price. 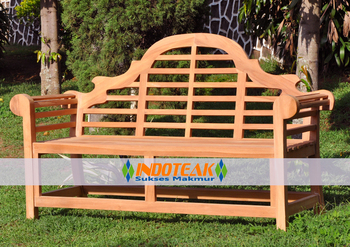 We're always offerd wholesale price because we are direct factory manufacturer teak furniture in Indonesia. You will get cheap price at high quality furniture. Please browse Our products and order now.